Profit-sharing plans for rank-and-file employees are vanishing as corporate America has adopted a new approach toward who reaps a healthy company's gains. Half a century ago, a typical Sears salesman could walk out of the store at retirement with a nest egg worth well over $1 million in today’s dollars, feathered with company stock. 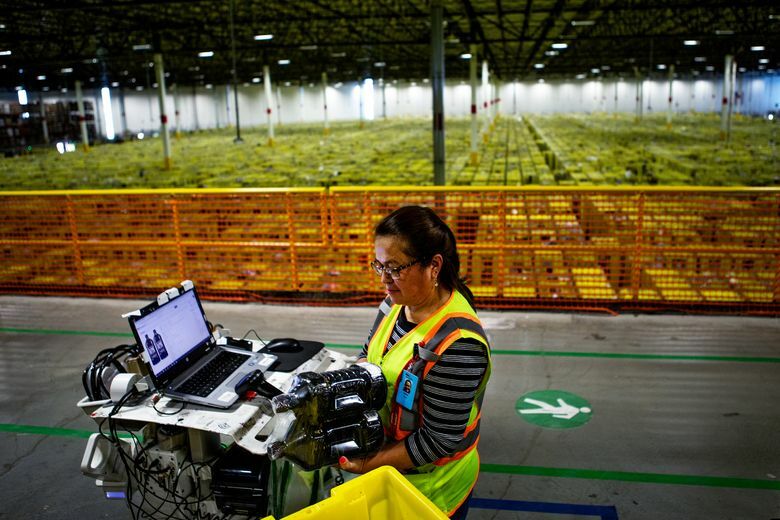 A warehouse worker hired now at Amazon who stays until retirement would leave with a fraction of that. Much as Sears has declined in the intervening decades, so has the willingness of corporate America to share the rewards of success. Shareholders now come first, and employees have been pushed to the back of the line. This shift is broader than a single company’s culture, reflecting deep changes in how business is conducted in America. Winner-take-some has evolved into winner-take-most or -all, and in many cases publicly traded companies are concentrating wealth, not spreading it. Profit-sharing and pensions are a rarity among the rank-and-file, while top executives take home an increasing share of the spoils. The company earmarked 10 percent of pretax earnings for a retirement plan for full-time employees, and by the 1950s, the workers owned a quarter of Sears. By contrast, one man at Amazon, the founder and Chief Executive Jeff Bezos, owns 16 percent of the company and is ranked as the world’s richest person. Not only was Sears’ program generous, it was also remarkably egalitarian. Contributions were based on years of service, not rank, and the longest-serving workers received nearly $3 for every dollar they contributed. The company phased out the profit-sharing plan beginning in the 1970s. This month, after years of lackluster attempts at revival, the retailer filed for bankruptcy protection. Sears was hardly alone in corporate America, said Joseph R. Blasi, who directs Rutgers’ Institute for the Study of Employee Ownership and Profit Sharing. In the executive suite, however, profit-sharing still flourishes. While 68 percent of workers who earn more than $75,000 benefit from it, only 20 percent of workers earning less than $30,000 do, according to Blasi. The decline of profit-sharing for the latter group has accelerated in recent years, with the median annual grant falling to $300 in 2014 from $921 in 2002. 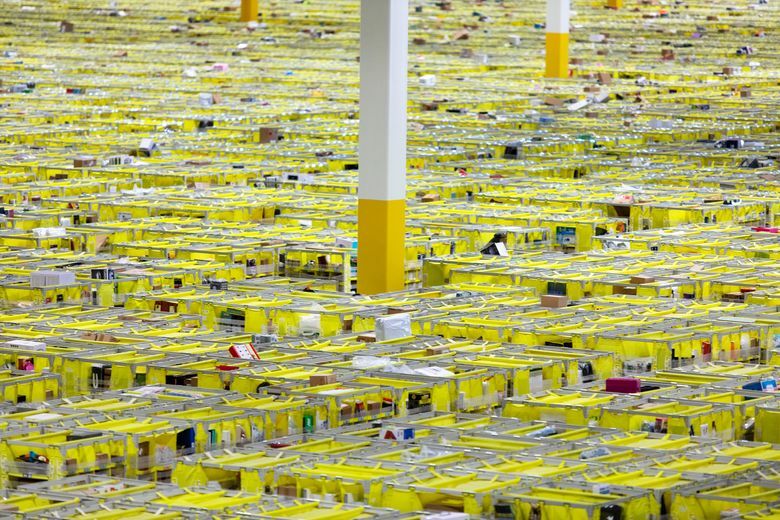 There are Amazon employees who hold a lot of stock. Four out of the top five executives earned less than $175,000 each in annual salary in the past three years, but got tens of millions of dollars in stock. By present-day standards, Amazon is relatively generous. In addition to 401(k) plans, full-time employees receive medical insurance and a week of paid vacation their first year. 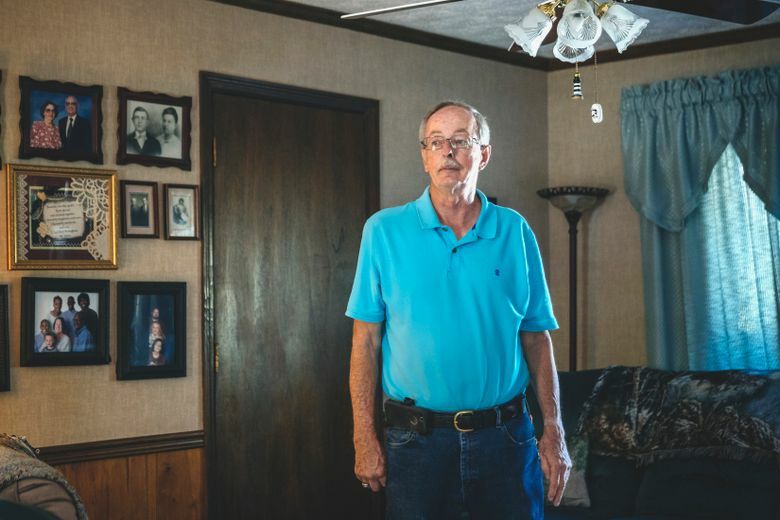 “It was not unusual for people to have $250,000 to $350,000 when they retired in the 1960s and early 1970s,” Fapp said. That’s worth well over $1 million today after adjusting for inflation. Stanley Hreneczko, 91, started working at the Sears in Troy, Michigan, in 1965. He was a salesman in the appliances department — selling stoves and refrigerators. Thanks to his generous pay and the corporate savings plan, Hreneczko bought a home in cash and took summer vacations to Arizona and Florida. Unlike Sears, Amazon is growing rapidly, and the company says it is working harder to increase opportunities for promotion from the warehouse floor into leadership positions. But its warehouses are staffed primarily by legions of lower-paid hourly employees. 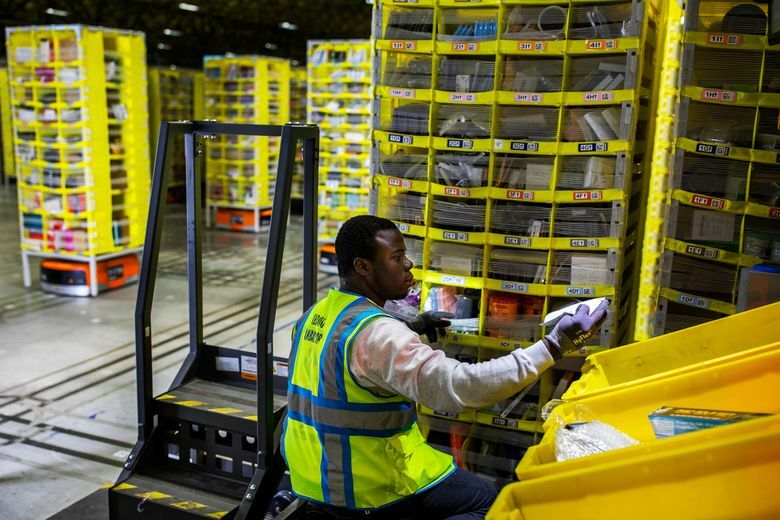 Of more than 2,000 workers at its fulfillment center in Carteret, New Jersey, all but 230 earn less than $17 an hour, or about $35,000 a year. During a recent tour there, one worker, Julia Teran, said she had received six shares during her three years at the company. “I keep it for my retirement,” Teran, 58, said of her stock, which is worth more than $10,000. How does she feel about the end of stock grants? “Things change,” she said with a half-smile.